Archaeologists discover fragments of all these types of artifacts at sites in Montana and elsewhere in the United States, Canada, Australia, and New Zealand. Unless otherwise noted, all items on this page are in the private collection of Gary Weisz. In addition, all photos on this page are by Gary Weisz. 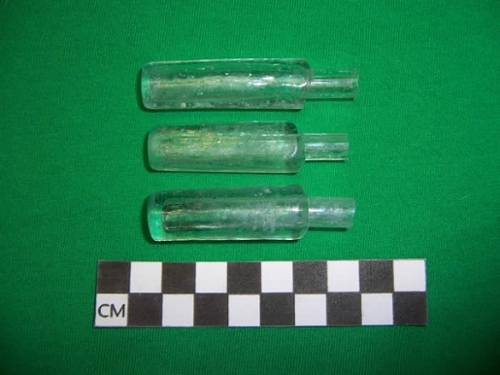 Three glass medicine bottles with sheared lips purchased from Hawai'i. 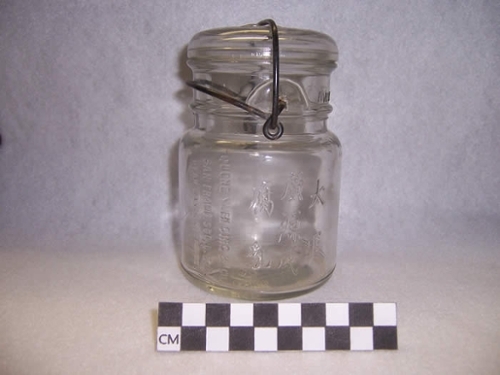 Bean cake jar purchased from California. 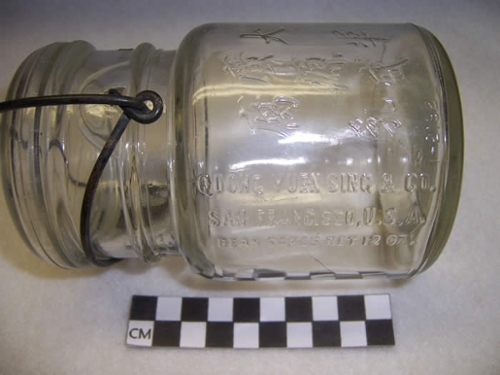 Embossed with Chinese characters and "Quong Yuen Sing & Co. San Francisco, U.S.A." and "Bean Cakes Net 12 oz."